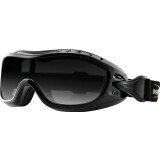 Jon W - Utah Good Goggles, But Be Aware Of Fit "These google are well built and comfortable. When it comes to 'Over The Glasses,' not so much. I have wire frames with the nose pads. 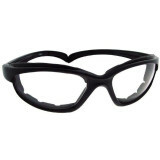 The goggle lens would push against the corners of my glasses pushing the pad into my eyes. It's too bad these didn't quite fit because they looked good and were comfortable without the glasses. I would recommend someone with either plastic frames, or ones that have a curvature to try them out. Hope someone else will have better luck."